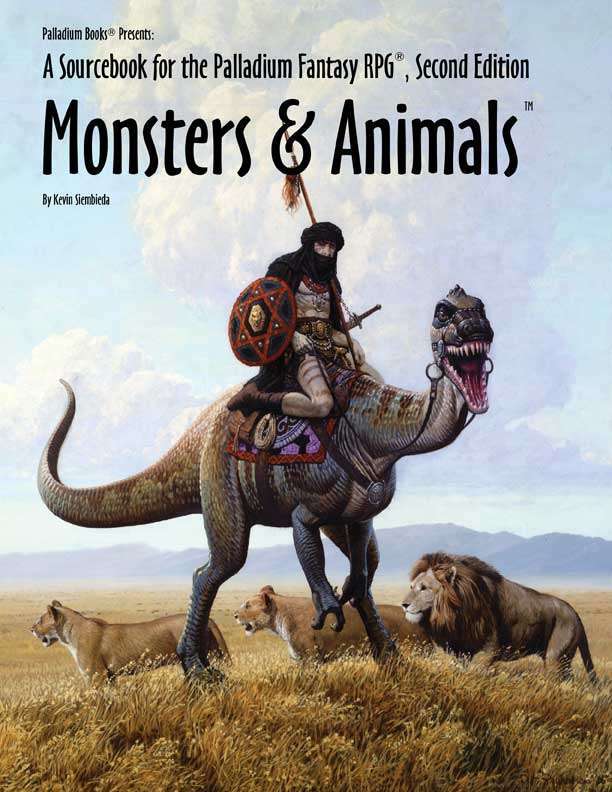 A big, juicy book of strange and exotic creatures, monsters and animals. Most of its 90 monsters are new and original, not the usual fare of typical monsters from myth. Many, like the Bearman, Coyle, Eandroth, giant Rahu-Man, Ratling, Dwarvling, Lizard Mage, and others are available as optional player character races. Monstrous beasts include the conniving Waternix, the ferocious Devil Digger, Bogeymen, Beast Dragon, Rock Crawler, Scorpion Devil, Snaggletooth Gobbler, Serpent Beast, Tri-Fang, Waterbat and Wing Tips, which are but a few of the wondrous creatures waiting to fill your campaign.